We all have our favorites – blues, greens, reds, pinks, oranges, yellows. No two places seem to have used the same paint but rather are a variation of the other. Every time I went for a walk I had the pleasure of discovering a new color – even routes travelled every day. As hard as I might try with the camera to capture the authenticism of the colors in my photographs I felt it was impossible. Only after I picked up a paintbrush and attempted to paint with watercolor, what was in front of me, did I feel I had a fighting chance to get it right. 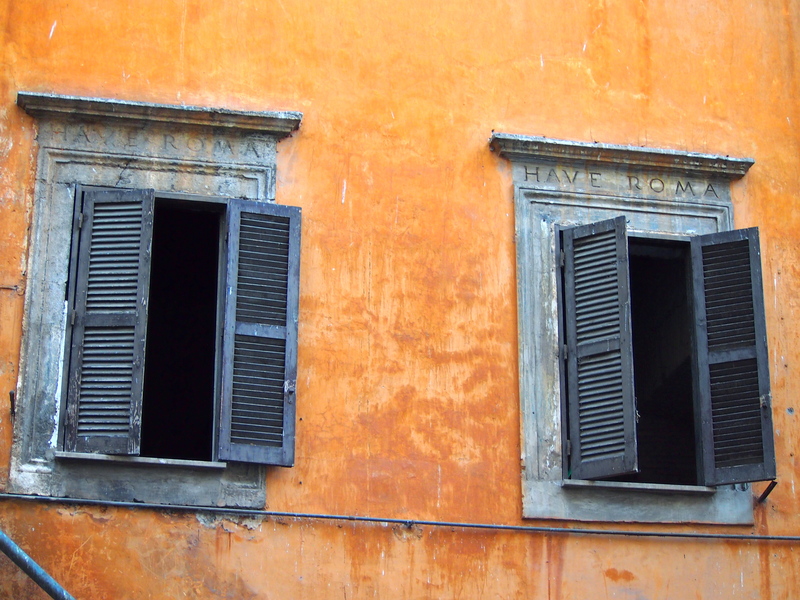 If you ever wanted to try something new, artistically, Rome is the place to inspire you – Painting, Photography, Drawing. My favorite store to visit and browse art supplies is Ditta G. Poggi, located near the Pantheon. They carry everything you could possibly need or want to be creative. UNLEASH YOUR INNER ARTIST! Previous PostPrevious Hills with a View – Climb One!